Mr. Levin is presently Head of the Standardisation Policy Division in TSB as of 11 August 2008. Mr. Levin was the lead ITU staff member in the organization of the two phases of the World Summit on the Information Society and has served as a senior policy adviser and legal counselor with the Union. He organized and was Executive Secretary of the ITU Plenipotentiary Conferences in 2002 and 2006 and previously served in the Legal Office. 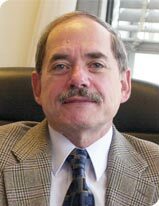 He was formerly the Legal Adviser of the OECD, is an adjunct faculty member at prominent American law schools, and has published numerous books and articles on telecommunications. Q: There was been a recent flurry of activity of green initiatives by the ITU-T but what is the organisation’s history on green issues? A: As far as the ITU is concerned, we could actually go back to 1994, where we had a resolution about the environmental impact of ICTs. 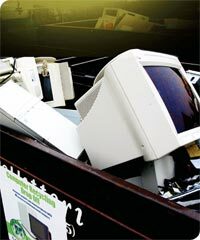 I wouldn’t want to say that we’ve been active on this issue since 1994 but we did begin to consider the environmental impact of ICTs at that time. The present focus on these activities comes from two main sources. In October 2007, at a meeting of all the UN Agencies in New York, very much inspired by the vision of the UN Secretary General who has made climate change one of his key priorities, the UN Assembly has made a commitment to achieve climate neutrality by 2009. We want to get our own hour in order. This has been a very major part of our work since 2007. This is also the personal wish of Malcolm Johnson, Director of the ITU-T sector. One of the things that Malcolm did when he came to the ITU-T was to institute a paperless office policy. I can personally tell you that this has been very effective, because I have had to change my work methods since coming here. The Secretary General has also instituted a paperless meeting in many of the internal management processes of the ITU. One of the big initiatives was to issue online recommendations for free. Initially, there was a lot debate in our council about that. However, the decision was taken more than a year ago and it has been huge success. We have millions or recommendations that have been downloaded and freely available in a paperless fashion. That has been huge success and it has been a green successes. Q: To what extent is the ITU taking the lead? A: The spirit of the ITU has very much been that, since we are the ones in the UN doing ICTs we really need to set an example. We have had some major climate symposia in which all the planning has been done electronically, without face to face meetings. The ITU itself is committed to getting its house in order and we have done a complete energy audit. I expect that in the very near future, the ITU itself will be able to achieve climate neutrality. Q: What is the relationship between climate change and ICTs? A: That is something we have been giving new focus to over the last year, due to interest from the UN in New York, amongst governments and amongst the general population. There are ongoing negotiations for a new Global Agreement on Climate Change. The new treaty is expected to be agreed to by December 2009 at Copenhagen, with a very important negotiation process ongoing. There are many steps along that way and we have been participating actively. We started this work a year ago, to really inventory what the ITU was doing. Each of the ITU’s sectors is involved in different aspects of the climate change situation and our Radio Communications work is vital to monitoring climate change, satellites and remote sensors. Q: What is the focus? A: The focus is very much on adaptation. There are countries sufferings greatly because of climate change. Adaptation is meant to help them adjust to climate change. In the ITU-T sector, this is probably one of the most practical of all. We know that ICTs uses energy and we estimate 2-3 percent of the total global greenhouse emissions are from ICTs. You can play with the definition of ICT, but if you look at all the studies being done it is between two to three percent. It is not the biggest sector in terms of emissions but it is significant. We are also victims of our own success. ICTs are growing rapidly and energy intensive uses of ICTs are growing rapidly too. Data servers and data farms are going to double in some countries in the next five years and energy use is going to go up. And we need to find ways to limit and reduce that the energy conception of ICTs and ICT products. Q: But how can it help too? A: At the same time there are some very interesting recent studies have come up, showing that ICT are also one of the most useful tools in combating climate change. You and I can order goods online without having to get into our car and drive to a store, better supply chain management reduces emissions and sensors in our home tell us when we are using too much energy. In all of these ways, ICTs can be critical enabling technology. To really explore the issues, the ITU organised two major symposia, one in Kyoto, the other in London. We had a good range of views on how ICTs impact on whole climate change issue. One of the main messages, we got from those symposia, was that there needs to be more work in the area of standardisation, because people really simply need to have agreed tools on how to measure these things. In particular, how do you measure the impact of ICTs on reducing emissions? It sounds like an easy question, but when you ask the question among experts, you get many different answers. We got the very clear message that we needed to create and develop a set of recommendation and standards to really measure the impact of ICTs on greenhouse gas emissions. This is particularly critical for those countries that have binding commitments to reduce their emissions under the Kyoto protocols. Q: What have you put in place to deliver this? A: In July this year, a ITU-T Focus Group was started on ICT and climate change. I have the honour of being Counsellor for that group and the Chairman is Dave Faulkner of British Telecom. The Group has the terms of reference to produce four key deliverables – one is definition, second is methodology, third are recommendations on how to measure the impact of ICT and the fourth, is to provide gap analysis - looking at the standards that already exist and identify those that still need to be established. That group had its first meeting in September. There were some very interesting presentations that are on our website and we are trying to move very quickly to produce a report next April and report back to the Advisory Group. At that point it might be taken over by one of the Study Groups. This is major focus of our efforts to come up with some recommendations on how we can be standardised in the area of ICT and climate change. We are also having big events in Kyoto and London and we are now talking about having these events in other parts of the world. There is a lot known, but more that needs to be done and we are really trying to develop a better knowledge base on this. There is a very big question of ICTs and climate change. We are very positive in this sense that we think that despite the growing use of ICTs, they can still play a very positive role in combating climate change. Q: What about your more traditional contribution to climate change? A: Historically the ITU have always been very interested in emergency telecommunications. We were the ones behind the Tampere Convention on emergency telecommunications. When Myanmar was struck by disaster in 2008, we were the first ones there, providing terminals to establish communications. That is our main programme but we have also helped countries in the area of agriculture and better use of applications to adapt to the situation. Another related area in terms of adaptation is work being done on what you do with telecommunications equipment when you just don’t want them any more. There has been some very good work in the industry to start labelling what is inside mobile phones and to launch initiatives to better recycle mobile phones and PCs. That is an important part of the problem but a lot more relevant in the developed world. Adaptation is one the critical ones for the developing world and one of the most urgent.